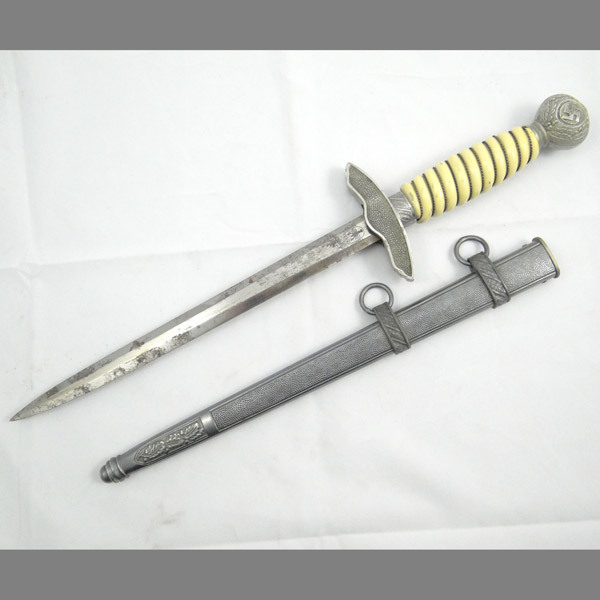 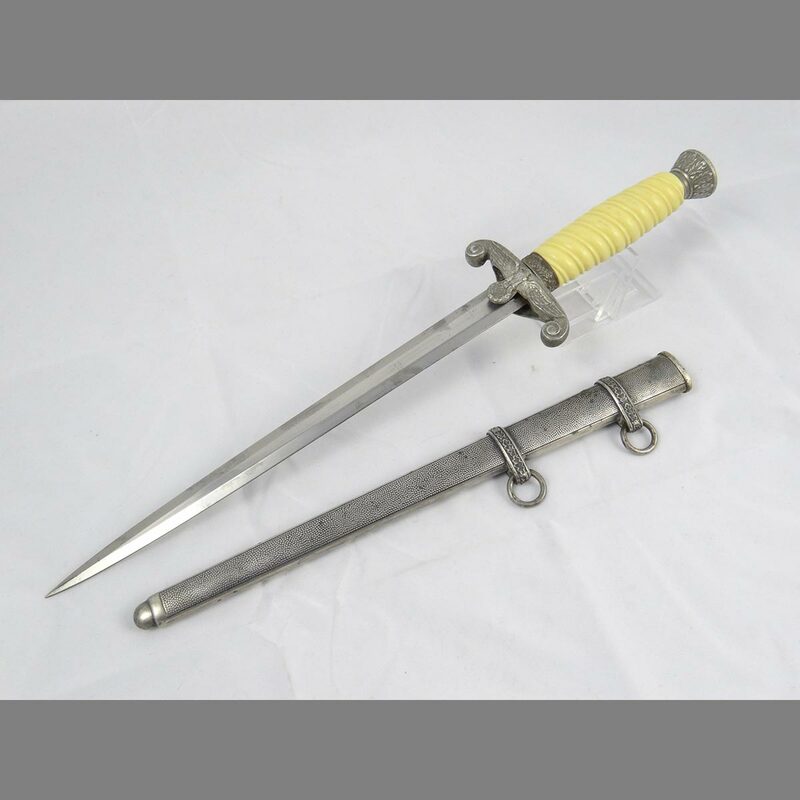 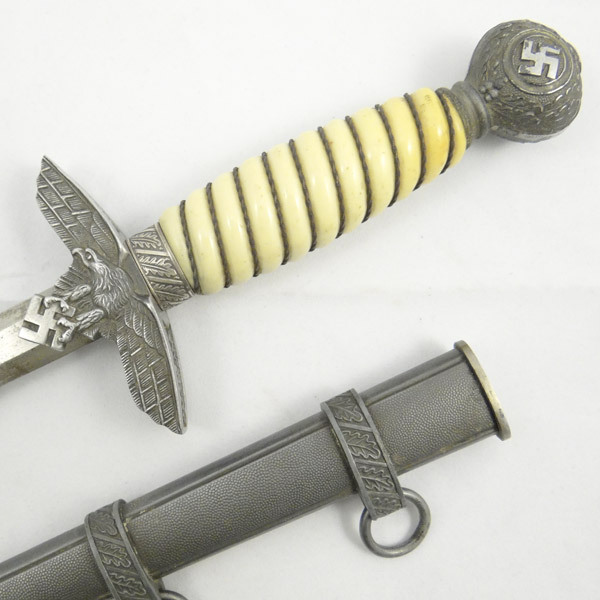 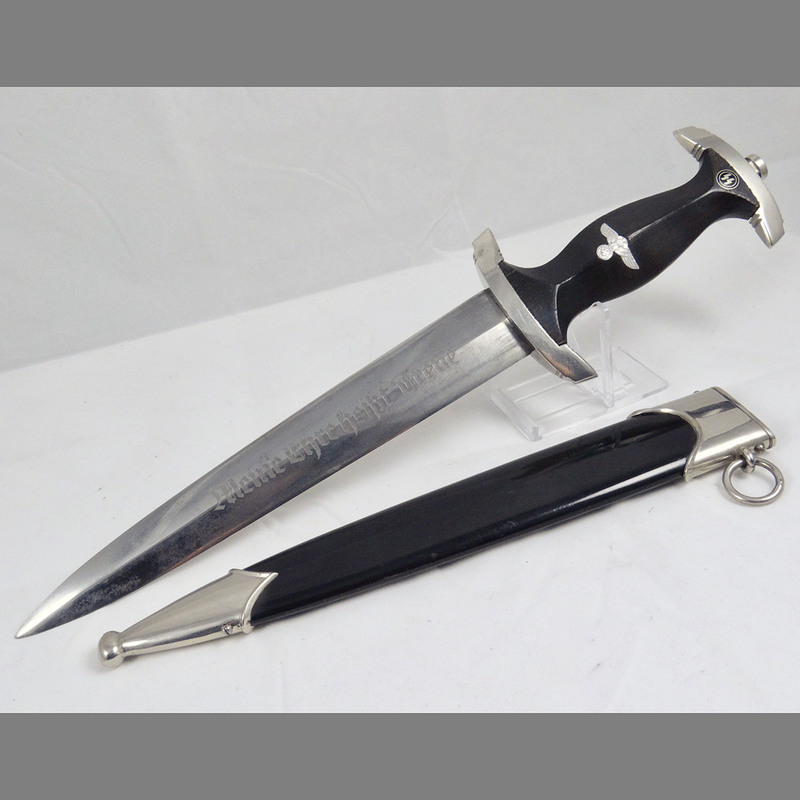 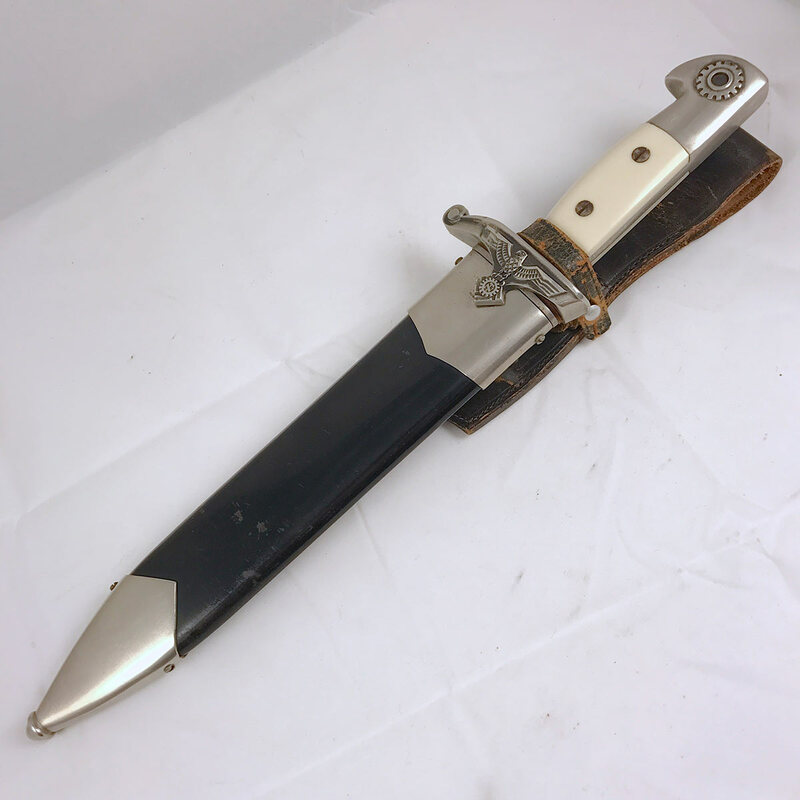 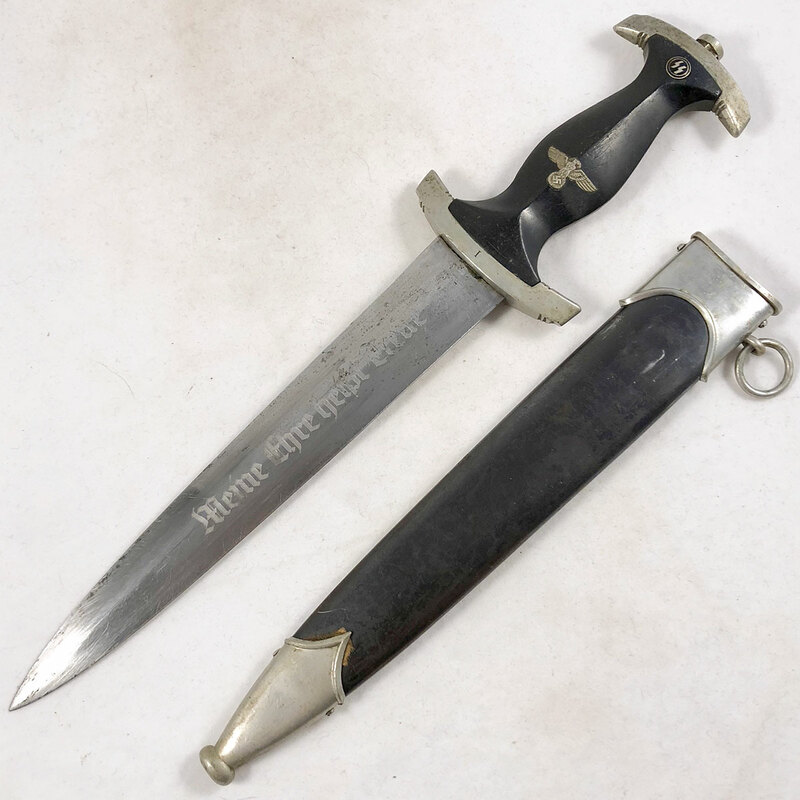 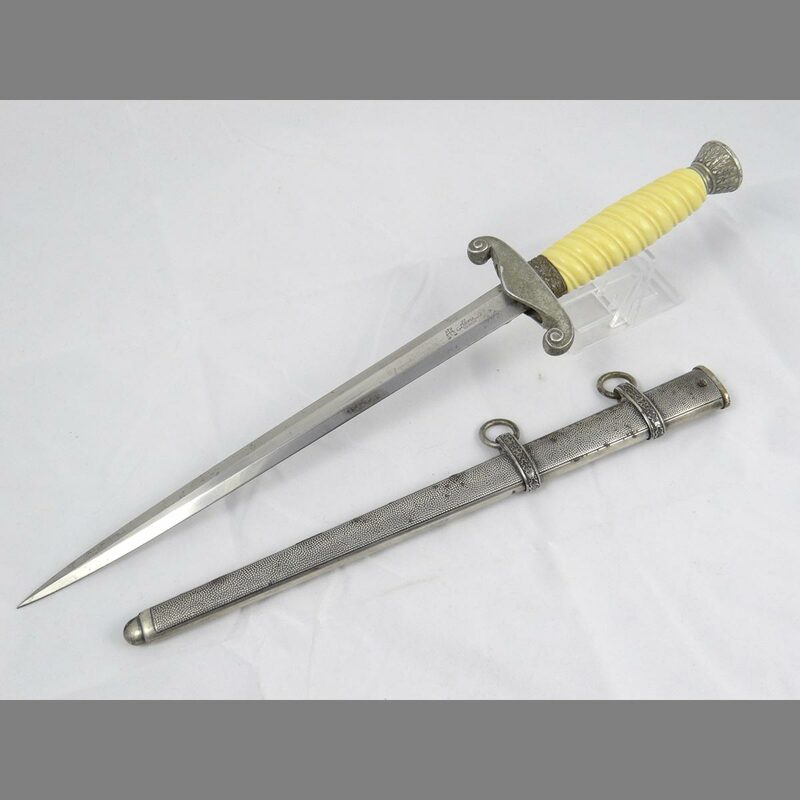 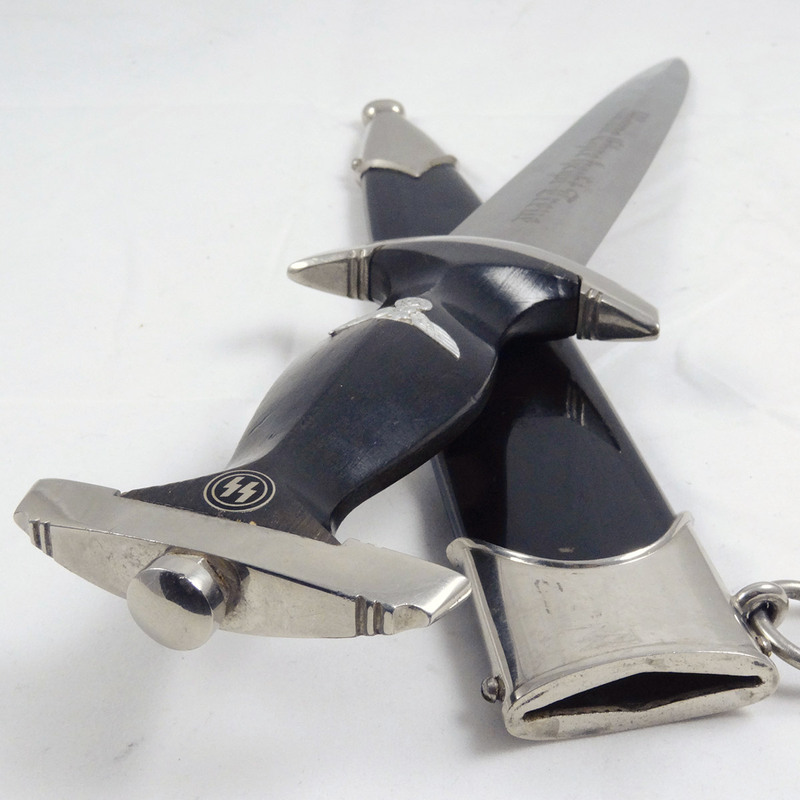 This is a nice looking second model Luftwaffe Dagger by maker Pet. 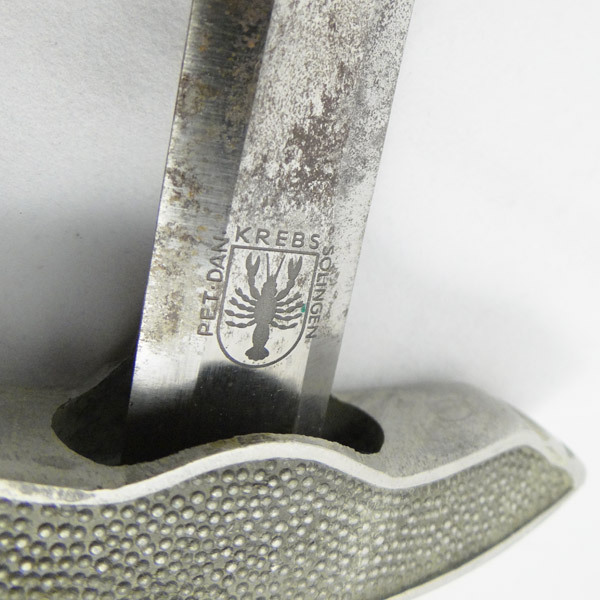 Dan Krebs. 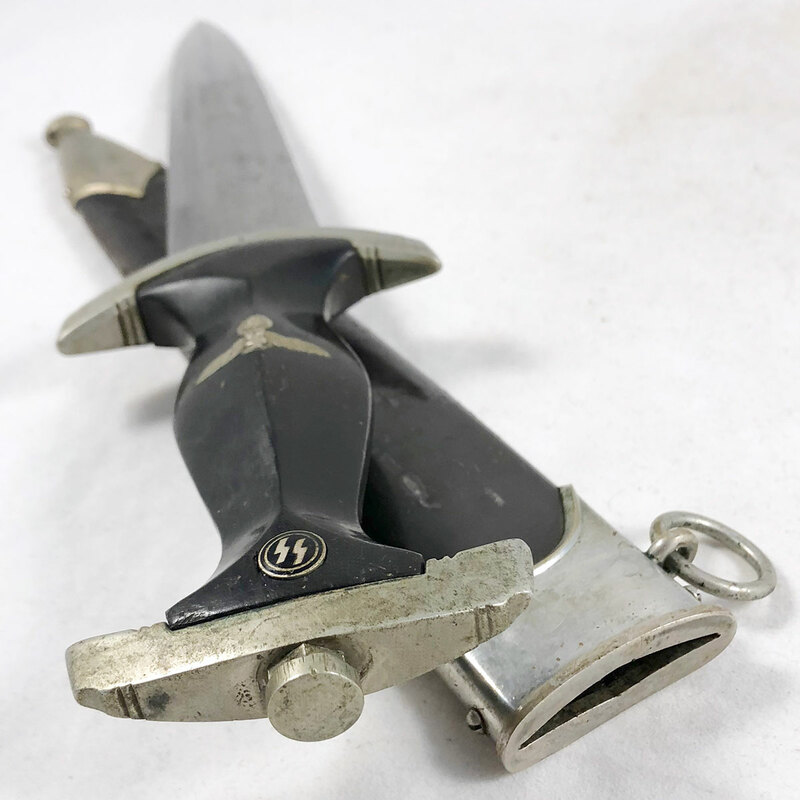 This is one of my personal favorite Luftwaffe dagger makers; I like their logo and their Luftwaffe daggers are quality. 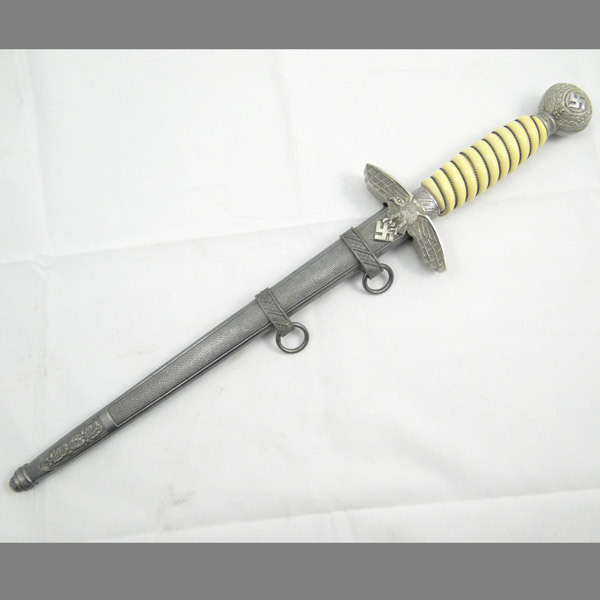 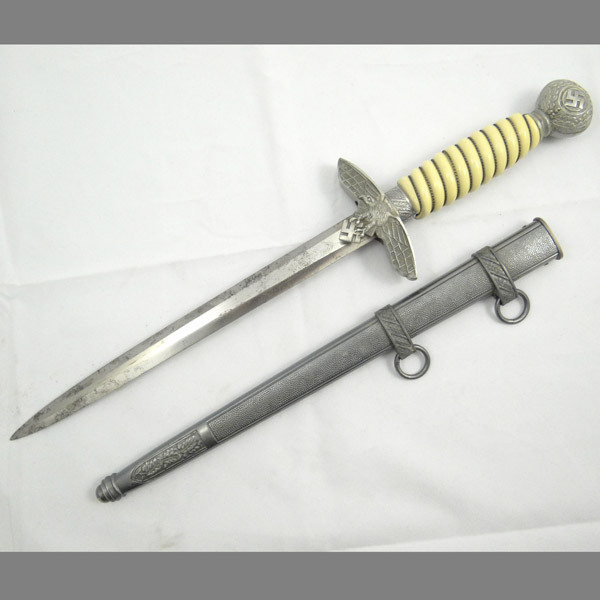 The scabbard is a nice deep gray in tone with no notable oxidation or rust. 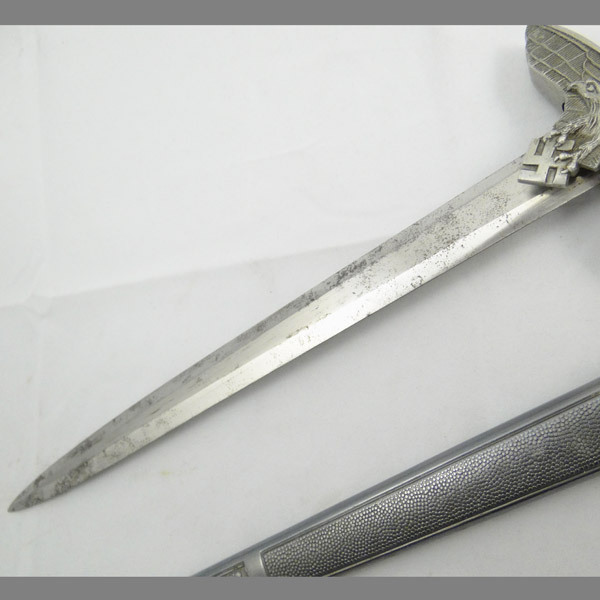 Both throat screws are present and detail throughout the scabbard is virtually untouched, save a few minor scratches. 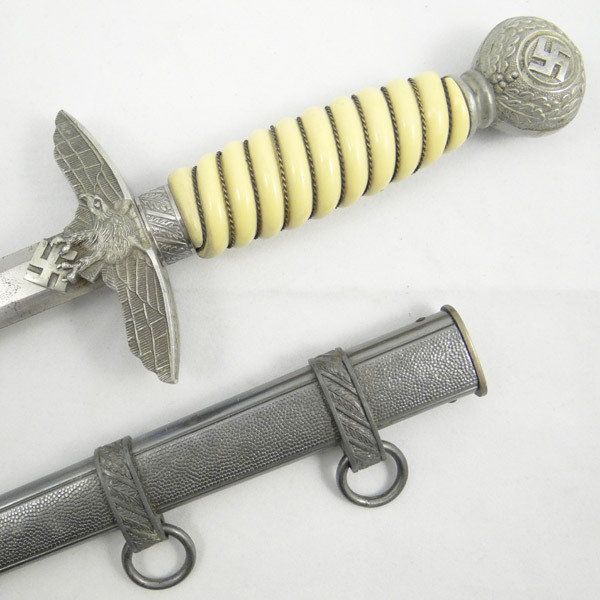 The aluminum lower crossguard is the deep embossed type, and is absolutely superb, with 100% of its original detail. 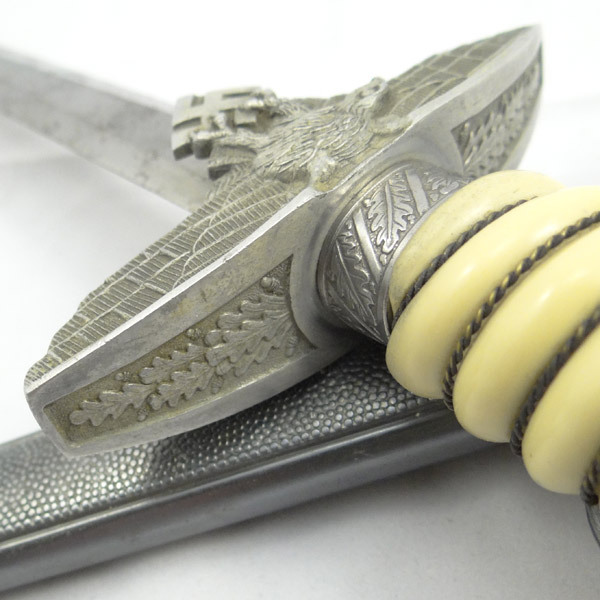 The fine detail of the deep embossed oak leaves and acorn atop the guard is unmatched! 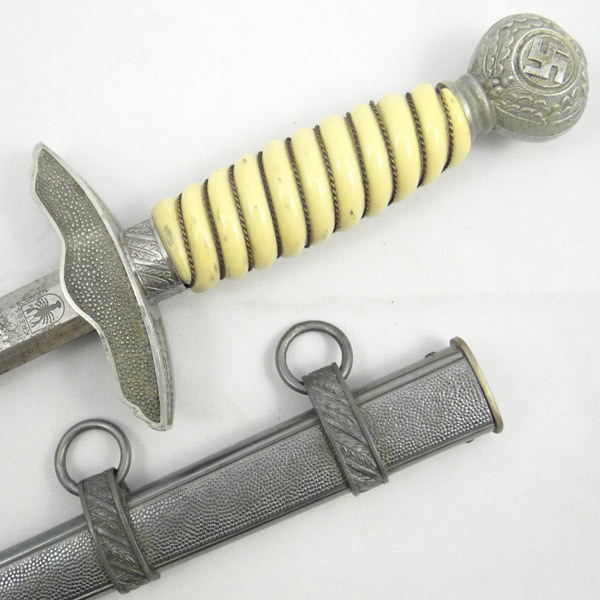 The ivory colored grip is in near perfect condition visually, but does show some cracks near the pommel cap, typically associated with over-tightening of the cap — a repairable flaw indeed. 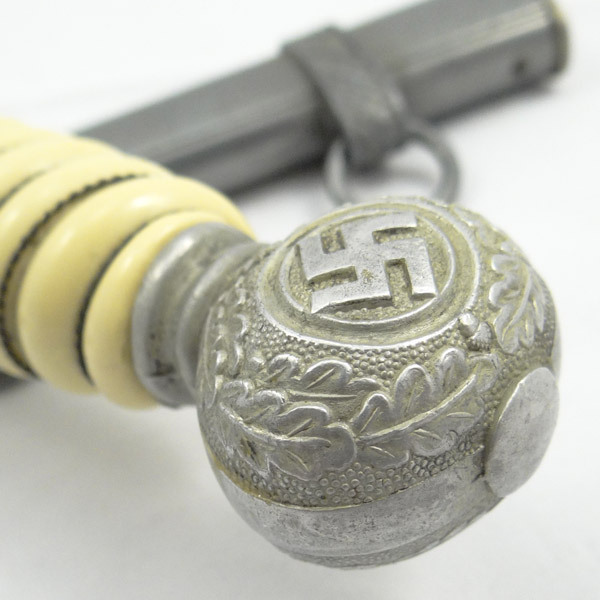 The pommel cap detail shows almost zero wear to the oak leaf/acorn and pebbled pattern. 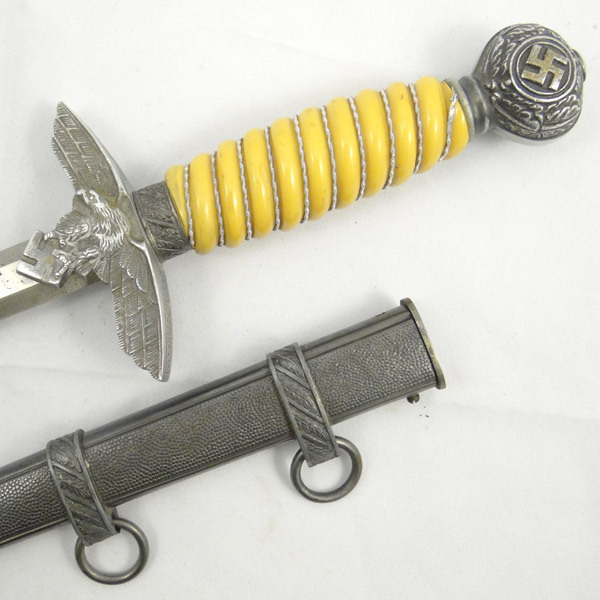 The worse part of this dagger is its blade unfortunately. 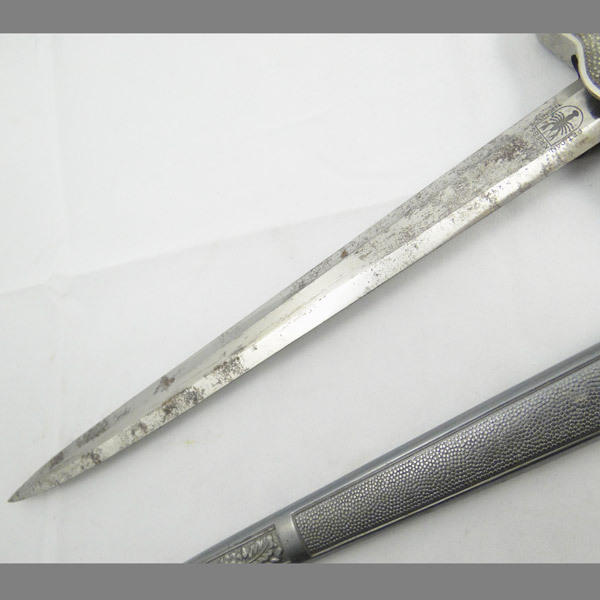 There is a good deal of surface oxidation, and the blade has a subtle bow roughly 2/3 of the way toward the tip. 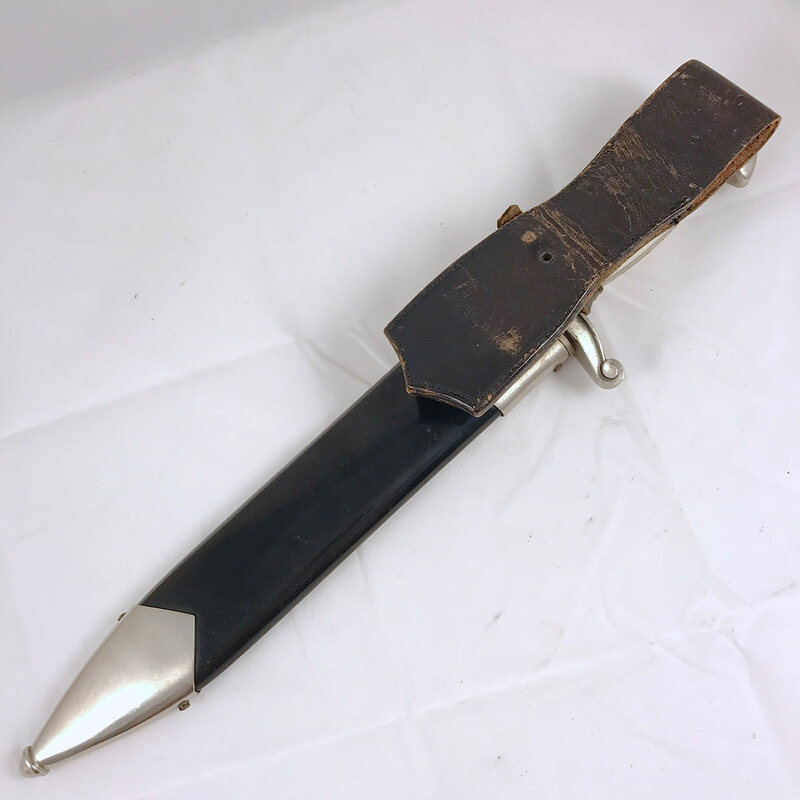 These are fixable issues, but still reflected in the low price so if you’re good with blades this may be the piece for you.